The Smart Museum examines how Gustav Klucis and Valentina Kulagina’s experimental work portrayed Stalin as a hero. Photograph: Courtesy of the Ne boltai! CollectionValentina Kulagina, May 1 USSR (detail), c. 1930s. Photograph: Courtesy of the Ne boltai! CollectionGustav Klucis, Long Live Red Army of workers and peasants - faithful guard of Soviet borders! 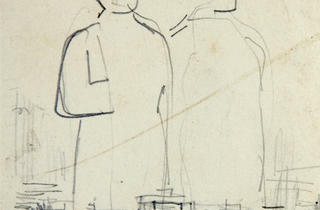 (detail), 1935. Photograph: Courtesy of the Ne boltai! CollectionGustav Klucis, Design for poster Long Live Red Army of workers and peasants - faithful guard of Soviet borders! (detail), 1935. Photograph: Courtesy of the Ne boltai! 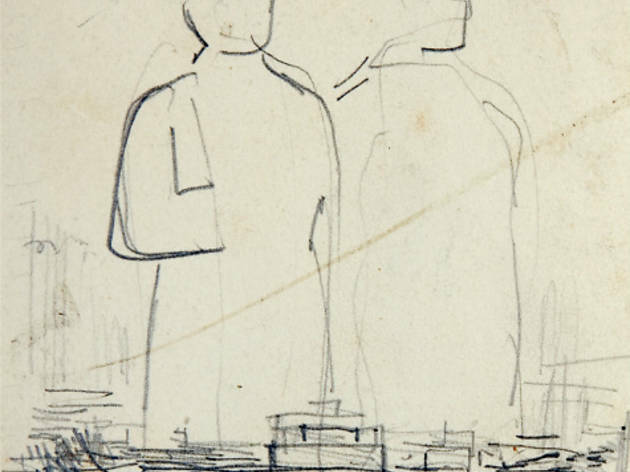 CollectionGustav Klucis, Untitled (Stalin and Lenin Heads) (detail), 1933. 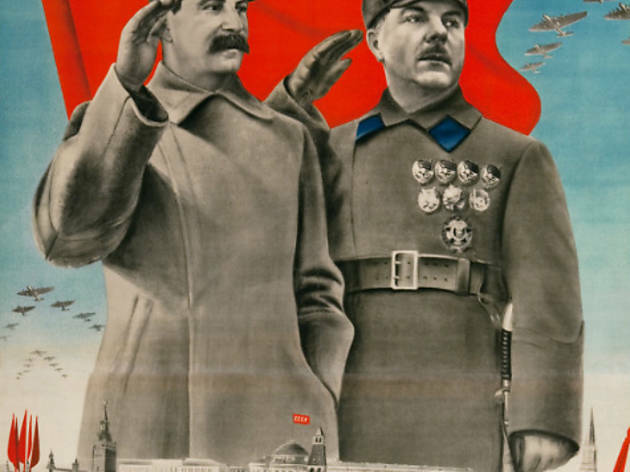 After Vladimir Lenin died in 1924, Joseph Stalin, the new leader of the USSR, sought the 1920s version of “Photoshop me in” to associate himself with his larger-than-life predecessor. 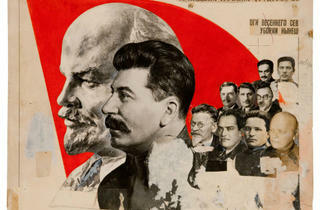 Soviet artist Gustav Klucis obliged, cutting and pasting images so that Stalin’s profile appeared with a sculpted bust of Lenin against a vibrant red flag. The duo began popping up everywhere. 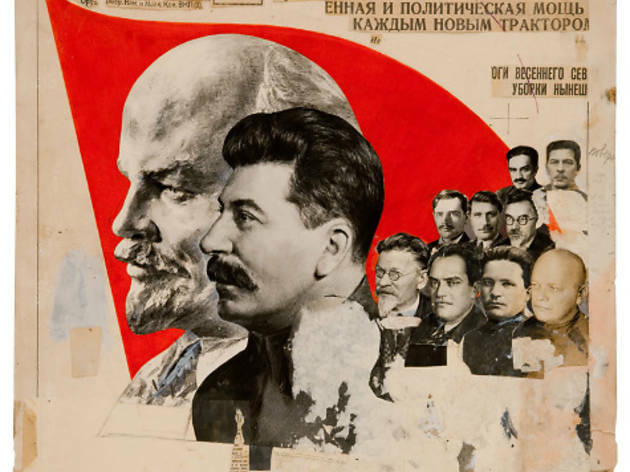 “Process and Artistry in the Soviet Vanguard” explores the methods of photomontage and agitprop that Klucis and artist Valentina Kulagina, his wife and collaborator, used to heroize Stalin throughout the 1920s and ’30s. It was a fascinating process. 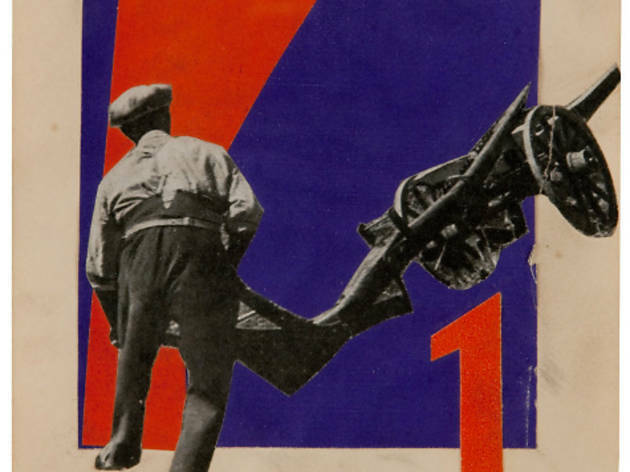 The Constructivist artists made sketches, played with scale and composition, and even photographed themselves, dressed up as industrial workers, for use in their posters. Klucis’s and Kulagina’s works have a boldness and dynamism befitting their spirited slogans. In Klucis’s Glory to the Red Army of Workers and Peasants—Loyal Guard of Soviet Borders! (1935), Stalin and a Red Army general loom large over a tidy tank battalion. 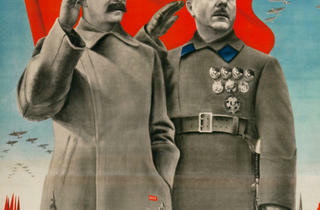 From the bright pop of blue on the general’s collar to the military aircraft soaring overhead, each carefully considered detail salutes the Soviet state. Kulagina favored a more abstract, painterly style. 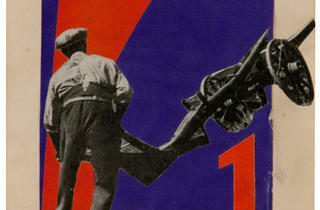 In her To the Defense of the USSR (1930), huge, rifle-toting soldiers march in line above a cluster of Cubist factories, suggesting a worker-to-soldier transformation. I wish this small exhibition contained more than a few examples of her expressive work (pictured). But Kimberly Mims, who curated the show in consultation with Richard A. Born, does a thorough job of exposing viewers to the experimental processes behind the propaganda.